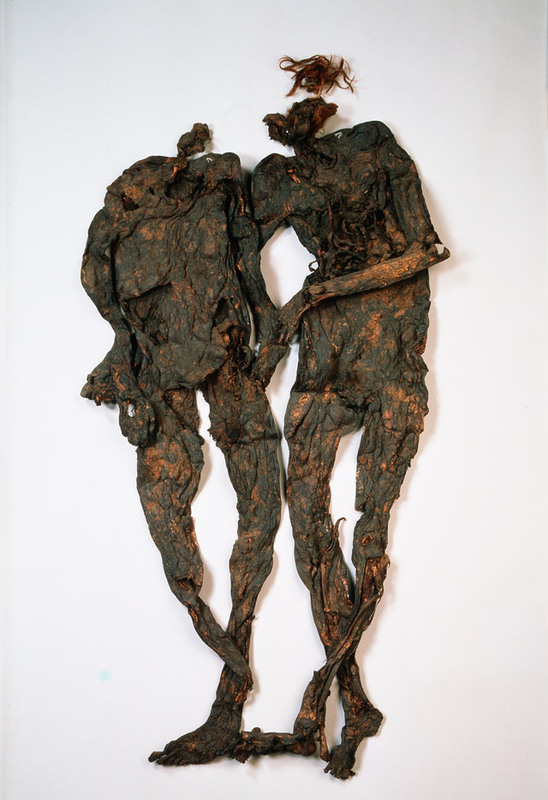 The Weerdinge Men were uncovered by a farmer in 1904 in a peat bog in the Netherlands. They have been radiocarbon-dated to between 160 BC and 220 AD. One of the bodies has a hole in the chest through which the intestines spilled out. The cause of death for the other is unknown. 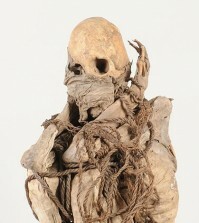 It is suspected that the Weerdinge Men may have been victims of cruel punishment or ritual killing. 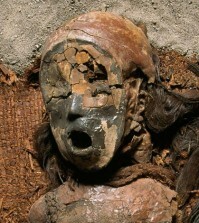 The lack of oxygen and unusual chemistry of the bog water kept the bodies preserved for roughly 1,980 years. 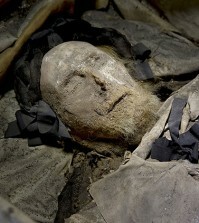 After their discovery, the bodies were rolled up, wrung out, and stuffed in a box to be transported to the morgue. First time I have heard of these guys thanks for the info.